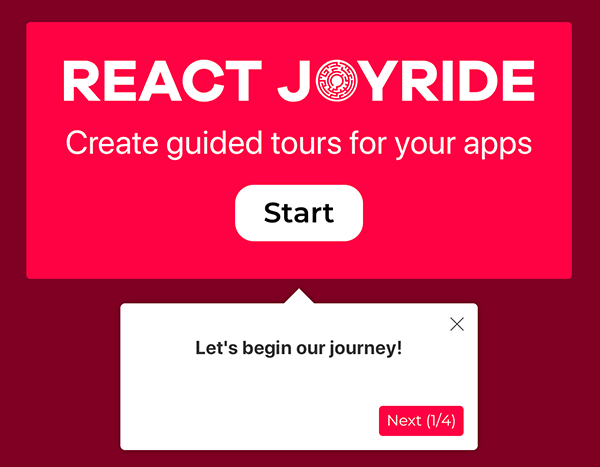 Create awesome tours for your app! Showcase your app to new users or explain functionality of new features. It uses react-floater for positioning and styling. And you can use your own components too.